It’s hard to know what’s truth and what’s myth about the adventures of William Alexander Anderson Wallace. He was a nineteen-year-old working in his father’s Virginia fruit orchard in 1835 when he heard that his brother and a cousin had been killed in the Goliad Massacre during the Texas War for Independence from Mexico. That was all the six foot two inch, 240-pound fellow needed to send him to Texas to “take pay out of the Mexicans.” He arrived after Texas had won independence and become a republic, but he wasn’t ready to stop fighting. He tried settling on a farm near La Grange, but the life didn’t suit him. According to his own account, which he embroidered to suit his audience, it was while living on the edge of frontier that he woke to discover that Comanches had raided in the night, taking all his horses except for one old gray mare that had been staked away from the other animals. Wallace jumped on the old horse in pursuit of the Indians. He dismounted in a hickory grove and crawled near their camp where the band of forty-two Indians had started eating his horses. Tying off his pant legs and his shirtsleeves, he filled his clothing with the hickory nuts until his body bulged into a new grotesque size. He claimed to have crawled (how did he manage that?) near the camp, shot one of the Indians, and then stood to his bulging height. The startled Indians quickly regained their composure and began firing arrow after arrow into his hickory nut armor. When Wallace continued standing the Comanches ran for the hills. Now, the story takes on a new level of interest. Wallace untied his clothing, and the hickory nuts tumbled out three inches deep on the ground. He brought his wagon, gathered the nuts, which the arrows had already cracked, and took them home to feed his pigs. than Wallace that earned him the life-long nickname of “Bigfoot.” He claimed to have earned two hundred dollars a month hewing logs for the new buildings being quickly constructed for the capital. He and a partner went out into Comanche Territory, cut cedar and other logs and floated them down the Colorado River to the new town. During one of his absences, a neighbor discovered that his house had been ransacked and huge moccasin tracks led from his house to Wallace’s home. Since Wallace wore moccasin, the neighbor stormed over accusing Wallace of the robbery. It seems there was a Waco Indian, much taller and much heavier than Wallace who also wore moccasins. Everyone called him Chief Bigfoot because his foot measured over fourteen inches and his big toe protruded even further. To calm the neighbor, Wallace took him home and placed his own foot in the giant prints to prove that Wallace was not the guilty party. Wallace’s roommate, William Fox, thought the encounter so funny that he began calling Wallace “Bigfoot,” a moniker that lasted the rest of his life. Ironically, the next year Chief Bigfoot killed and scalped William Fox. Wallace tried to take revenge, but the giant Indian survived Wallace’s attack. After Bigfoot Wallace saw the last buffalo run down Austin’s Congress Avenue, he decided the capital was getting to crowded and moved on to San Antonio, which lay on the extreme edge of civilization. He joined local residents in their fight against encroaching Indians and Mexicans who, having not accepted Texas independence, made forays into the new country as far north as San Antonio. In 1842, after another Mexican raid of San Antonio, Bigfoot Wallace joined the Somervell and Mier expeditions, which were intended to put a stop to the Mexican incursions. Some of the volunteers turned back, deciding their Texas force was not large enough to counter the power of the Mexican Army. Bigfoot Wallace was among the 300 who determined to continue into Mexico. A strong Mexican force at Mier promptly defeated them and began marching them to Perote Prison in Vera Cruz. The prisoners tried escaping into the Mexican desert, but were quickly found and under orders from Santa Anna, were sentenced to a firing squad. Army officials convinced Santa Anna to execute only every tenth man, and to accomplish that plan, seventeen black beans were placed in a jar of white beans. The unlucky seventeen who drew a black bean were quickly shot. Bigfoot Wallace drew a gray bean, and the Mexican officer decided to classify Wallace as one of the lucky white bean drawers. Instead of a quick death, he and the other fortunate men were marched to Perote Prison where they remained in dungeons for two years before being released. Bigfoot Wallace had not gotten the urge to fight out of his system. 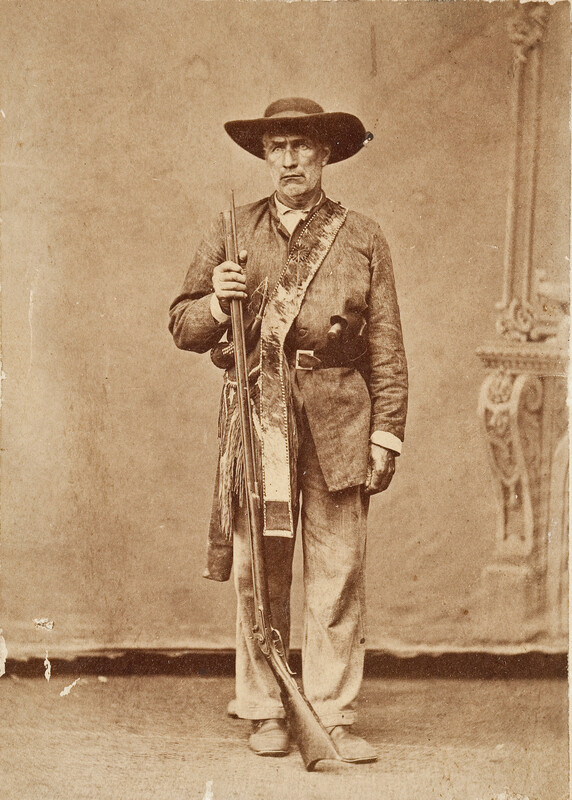 Upon returning to San Antonio he joined Jack Hayes’ Texas Rangers in the Mexican-American War and when it ended in 1848, he served as a captain of his own ranger company, fighting border bandits and Indians. They were known for forcing confessions, hanging those they believed were guilty, and leaving the dangling bodies as a warning to other outlaws. 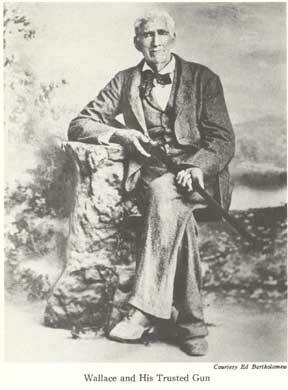 One of his ranger buddies, Creed Taylor, complained of constantly loosing his stock to bandits and Indian raids. When a Mexican raider known as Vidal and his gang stole a bunch of Taylor’s horses, Bigfoot and his rangers went after the Vidal gang. They found them asleep and by the time the fracas ended, all the bandits were dead. That’s when Bigfoot and his rangers decided to make an example of Vidal. They beheaded him, stuffed his head in his sombrero and secured it to his saddle pummel. They tied Vidal’s body in his saddle, mounted it on one of the stolen horses, and sent the horse off in a run. The vision on a dark night of a body swaying wildly on the back of the galloping black stallion with the gruesome head hanging in plain sight, may not have stopped horse thieves, but it scared so many people that as late as 1900, people from Mexico to New Mexico to Texas were claiming to have seen El Muerto: The Texas Headless Horseman. The Civil War brought new challenges for Bigfoot Wallace. He did not agree with secession, but refused to abandon his own people. Instead, he spent the war guarding the frontier settlements against Comanche raids. his stories of life on the Texas frontier. He told his friend and novelist John C. Duval in The Adventures of Bigfoot Wallace, the Texas Ranger and Hunter that he believed his account (with the Mexicans) had been settled. Soon after his death on January 7, 1899, the Texas legislature appropriated money to move his body to the State Cemetery in Austin. aristocratic Spanish families who had immigrated to New Spain in 1750. De León received his empresarial grant in April 1824 to settle forty-one Mexican families “of good moral character” on the lower Guadalupe River. He had been in Texas since 1805, operating ranches along and south of the Nueces River and driving huge herds of cattle to market in New Orleans. De León’s grant lay southwest of Stephen F. Austin’s, the first and most successful of the colonies. De León named his settlement Guadalupe Victoria, after the first president of the Republic of Mexico. The first twelve families arrived by October and the others, delayed by drought and floods in Northern Mexico, arrived the next spring. Each family received a town lot, one league (4,228 acres) of land for grazing, and a labor (177 acres) for farming. Upon completion of the colonization the empresario received five leagues. 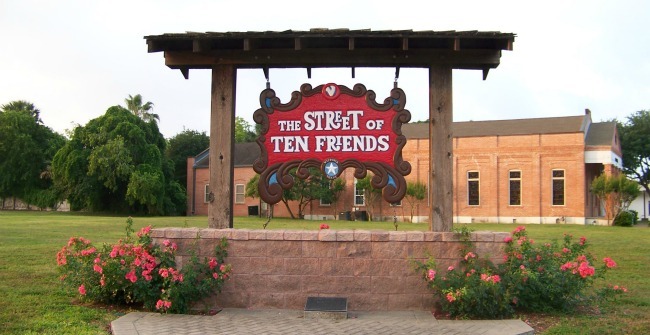 One of De León’s sons-in-law platted the town and the empresario designated the main street “La Calle de los Diez Amigos” (The Street of Ten Friends) for the ten homes of citizens who were charged with the welfare of the town from 1824 to 1828. Three of the ten friends were his sons-in-law and two were his sons. From 1828 to 1835 alcaldes (mayors) governed the colony. De León served as the first alcalde followed by two of his relatives. Not all the colonists were Mexicans; sixteen families, primarily Irish immigrants, also settled in the colony. A devout Catholic, De León brought in priests from La Bahía (present Goliad), Nacogdoches, and San Antonio until the founding in late 1824 of St. Mary’s Catholic Church. The colonists built a school and a fort, organized a militia, and started a courier service with the neighboring Austin colony. Victoria quickly became a cultural center as the family maintained contact with friends who were kings, emperors, and both military and political leaders in the United States. The children and grandchildren were sent to schools in the major cities of Europe and the business of the colony was considered among the most substantial. Cattle, horses, and mules were the primary business and the family corralled wild Longhorns and mustangs by the thousands. 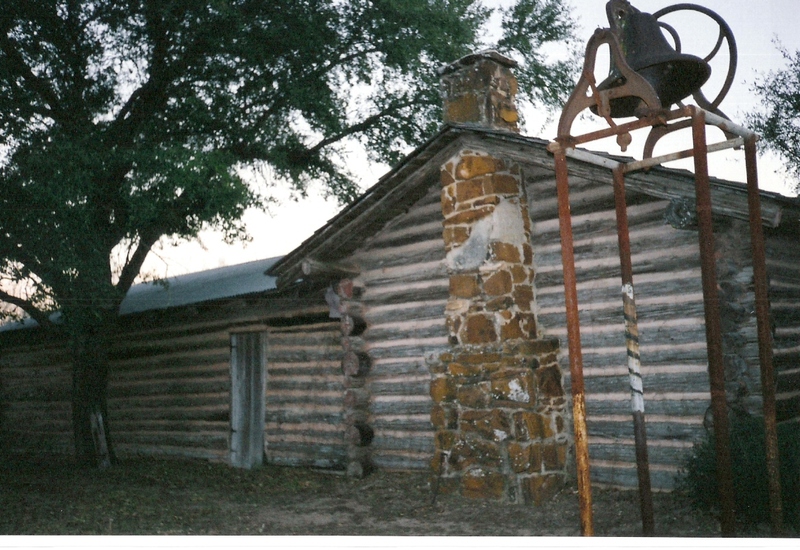 De León’s five-league ranch, which spread along Garcitas Creek in present southeastern Victoria County, probably included the land where the Frenchman La Salle built Fort St. Louis in 1685. Many claim DeLeón’s cattle brand, which he had registered in 1807, was the first in Texas. 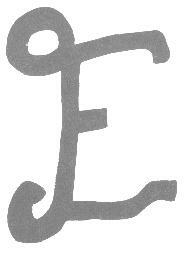 It consisted of a connected E and J meaning “Espiritu de Jesús, the brand used by Jesuits for hundreds of years and adopted by the De León family in Spain. From the beginning of his colony, De León, a wealthy and cultured man, looked with disdain at the Americans in surrounding colonies. His attitude and the preferential treatment he received as a Mexican citizen added to tensions among the neighboring settlements. The boundaries of his colony were not clearly drawn and in disputes with other colonies, the Mexican courts usually sided with De León. The ensuing squabbles led to hatred and mistrust between De León and Green DeWitt whose colony at Gonzales lay just to the north. And De León tried unsuccessfully to have the government annul the grant for an Irish colony to the south. De León died at age 68 in the 1833 cholera epidemic, leaving his wife and ten children an estate of about a half million dollars. His sons completed the settlement, which made the De León and the Austin colonies the only two in Texas to fulfill their empresarial agreement. The family members were strong Federalists and as troubles brewed with the Centralists government under the Mexican Dictator Antonio López de Santa Anna, the De Leóns sided with the Texans who supported independence. The De León’s took part in all the plans for the revolution; they served in the army or helped in other ways to aid the Texas cause. They contributed so substantially to the war that when Gen. José de Urrea occupied Victoria after the massacre at Goliad, the De Leóns were arrested as traitors. 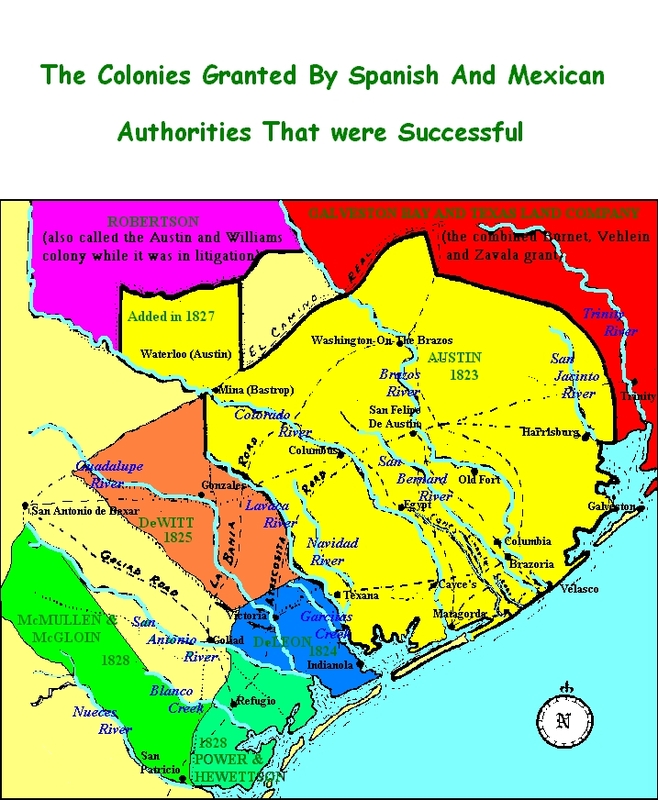 Despite their contributions, after Texas won independence, Anglo-Americans began coming into Texas looking for land and charging the De Leóns as Mexican sympathizers. After the murder of one son and the severe injury of another, the family, one of the wealthiest in Texas, left all behind and fled to safety in New Orleans. Three years later, the oldest son Don Fernando De León returned to Victoria and spent the remainder of his life in unsuccessful litigation for the return of the family’s property. In 1972 a Texas historical marker was placed in Victoria’s Evergreen Cemetery honoring the De León family. Attendees at the dedication included Patricia De León, great-granddaughter of the empresario, and Dr. Ricardo Victoria, great-grandson of President Guadalupe Victoria for whom the town is named. She steps onto the scene as the woman accompanying Capt. Telesforo Alavez when his ship from Matamoros, Mexico, landed at Copano Bay on the middle Texas coast about the same day as the fall of the Alamo, March 6, 1836. Variously called Francita, or Panchita, or Francisca, those who met her assumed she traveled as Capt. Alavez’ wife; however camp women regularly followed the Mexican army, and later research disclosed that Capt. Alavez abandoned his wife and children in Mexico the previous year. When Francita arrived at Copano Bay, she discovered that General José de Urrea’s army held prisoners bound so tightly that the cords cut off the blood circulation in their arms. Several of those men remember her as the beautiful Mexican lady who convinced the guards to loosen the bonds and give them food. 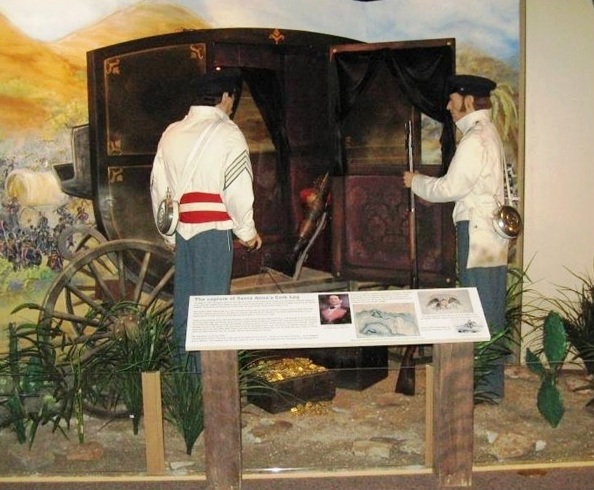 As he headed to San Antonio and the Battle of the Alamo, General Antonio López de Santa Anna split his forces, directing Urrea’s army to move toward Presidio La Bahía (present Goliad), an ancient fort housing 500 militia, the largest collection of men in the Texas army. While Urrea continued his march toward Presidio La Bahía, the commander at the old fort, Colonel James W. Fannin, ignored orders from General Sam Houston to move out of La Bahía and join forces with Houston’s ragtag volunteers as they moved ahead of Santa Anna’s advancing army. Fannin delayed for five days before he began a slow march out of the presidio, only to be overtaken in mid-afternoon by Urrea’s rapidly advancing force. The Texans and the Mexicans fought valiantly until darkness fell. Without sufficient water for cooling their cannon or to ease the suffering of the injured, and without the hoped-for reinforcement by the next morning, the Texans chose surrender. Despite the decree that Santa Anna pushed through the Mexican Congress the previous December, which directed that all foreigners taken in arms against the government should be treated as pirates and shot, General Urrea agreed to appeal to Santa Anna for clemency for Fannin and his men. Urrea’s force moved on to capture nearby Victoria while about 240 uninjured or slightly wounded under the direction of Col. José Nicolás de la Portilla, marched back to Presidio La Bahía. Colonel Fannin who sustained an injury and about fifty more severely wounded were moved back to La Bahía over the next two days. 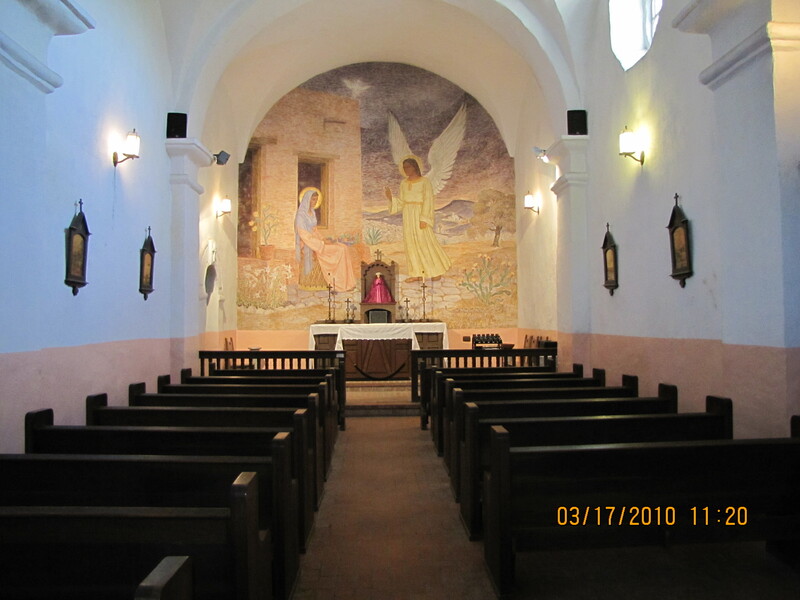 Again, Francita appears as a comforter of the suffering, intervening to improve care for the prisoners crowded into the presidio’s 85- x 25-foot Chapel of Nuestra Señora de Loreto. Soon, more prisoners from other battles arrived to increase the population to over 500. A letter from Santa Anna arrived on March 26 demanding Col. Portilla carry out the orders to execute the prisoners. Two hours later, Portilla received a letter from Urrea imploring him to treat the prisoners with respect, especially Col. Fannin. Despite being torn between conflicting orders, Portilla continued with plans to execute the prisoners at dawn the next morning–Palm Sunday, March 27. The prisoners marched willingly out in three groups–some believed they were going to gather wood, others expected to drive cattle, another group thought they were headed to Copano Bay for shipment to freedom in New Orleans. Years later Benjamin Franklin Hughes, who at age fifteen served as an orderly, claimed his group believed they marched toward embarkation and freedom. He saw Urrea’s wife and a young lady he called “Madame Captain Alvarez” watching the groups move out. As Hughes marched past, the ladies asked to have him taken from the ranks and placed between them. Within minutes the massacre began and Hughes realized the women saved his life. A study of Fannin’s command indicates 342 executed, including Fannin and the wounded that were shot in the fort’s quadrangle. Only 28 escaped the firing squads—diving into the nearby San Antonio River or escaping through the woods along the riverbank. A group of blacksmiths, wheelwrights, and other artisans that served the Mexican army also escaped the massacre. About eight avoided execution because Portilla claimed they were not captured while bearing arms. Although Francita accompanied Captain Alavez to Victoria, she continued to send messages and supplies to the surviving prisoners at La Bahía. The grandson of one of the Victoria families preserved stories of the wives of Mexican officers throwing themselves in front of a firing squad, successfully halting the execution of three or four prisoners. After Texas won independence from Mexico and captured Santa Anna in the Battle of San Jacinto on April 21, 1836, the Mexicans began a slow retreat. 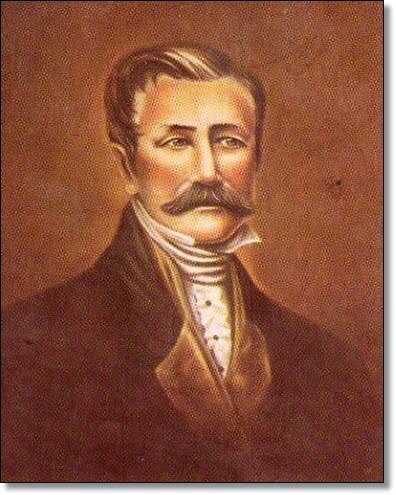 Captain Alavez evacuated his Victoria post and returned first to Matamoros where Texans told of “Señora Alavez” ministering to the prisoners. After she followed Captain Alavez to Mexico City, he abandoned her. Returning to Matamoros penniless, she found friends among the Texans who remembered her kind treatment. However, none of the people who told the story of her humanitarian deeds ever bothered to accurately record her name.